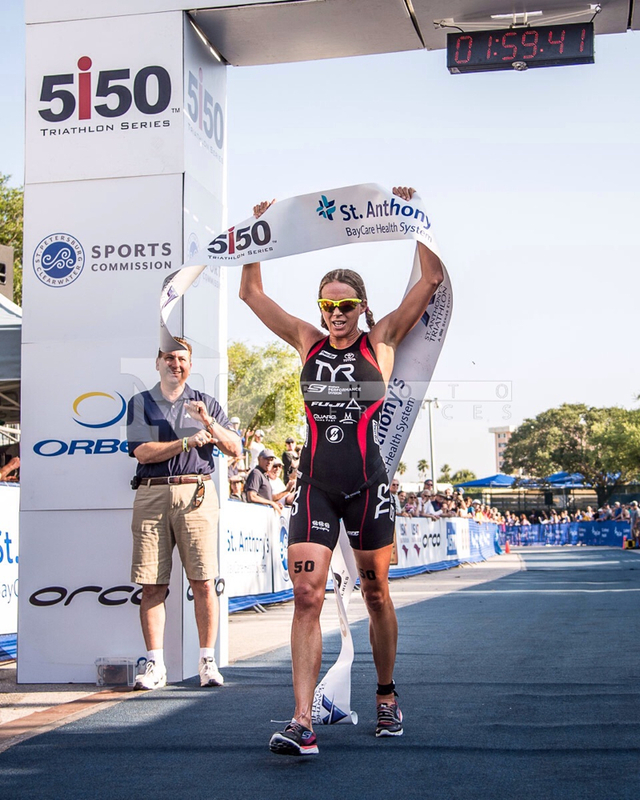 I was excited to return back to one of my favorite races of the year, the St. Anthony’s Triathlon. This race is historic and has been going for 31 years strong! I toed the line for my seventh time in my racing career with a goal of earning my fifth title. 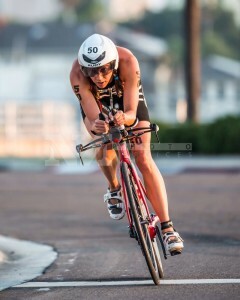 I was nervous on race morning, just like any race, but excited to do what I love! It was great to catch up with sponsors, friends and hang out at the expo prior to the race. 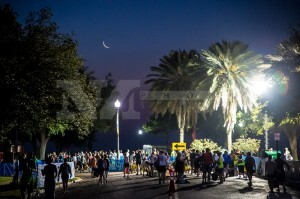 Race morning, I was up early with my parents and Caroline. I was surprised that Caroline was awake at 4am, but she seemed to sense that something exciting was going on and did not want to miss out on the action. 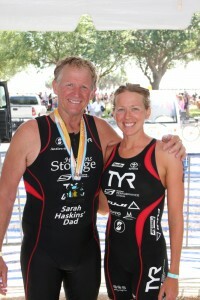 My dad was racing the Olympic distance at St. Anthony’s for the second time. He was equally excited to sport his new TYR race kit. My Mom was helping to care for Caroline and was an amazing, Super Grandma as always! I made sure to increase my fluid intake race morning with two 16 oz bottles of PowerBar Preform due to the higher humidity and because I am a nursing mother I need the extra fluids. 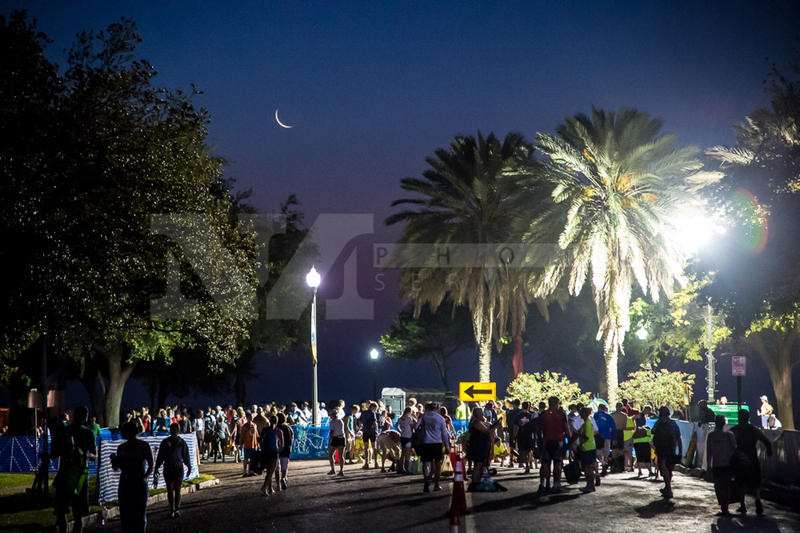 I completed all of my pre-race warm-ups and activations and was ready to go! Nate reminded me to use my strength, my head. Races are usually won and lost by mental mistakes and after competing ten years in the sport, I know training is physical, but racing comes from within the heart and soul. The weather was not too warm and race morning we had a slight breeze from the east. Any type of breeze from the east means that the swim will be choppy, and it lived up to the tradition of typical St. Anthony’s swims. I do enjoy those tough swims! I exited the water in third position behind Sara McLarty and Lauren Branden. I had a great T1, but struggled getting my shoes on quickly once I got on my Norcom Straight. The beginning of the bike course has some cobbles which made it difficult to get my feet into my shoes quickly. Once I was off the cobbles, I got my feet into my shoes and was ready to go! 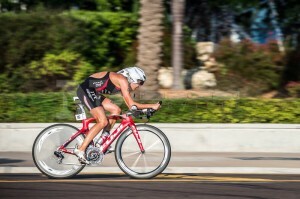 I felt great on the bike and much stronger than my previous Olympic distance race. At one point in the race, I nearly crashed with a cyclist riding towards me head on into a turn. She was cycling on the on the wrong side of the race course, but fortunately I recovered on neither or us went down! Here is my Quarq Power File brought to you by Trainingpeaks. I had a much better T2 and headed out on the run. I felt really good through the first half and noticed that Helle Frederiksen was gaining time back on me. I picked up the pace the second half. With a couple of miles to go, I started to feel some tightness in my right calf. Towards the end of the race, I heard Nate yelling about the “course record” and I pushed hard the last 400 meters into the finish line! I was very surprised that I improved my record from 2012 by 11 seconds and I was thrilled to earn my fifth title. 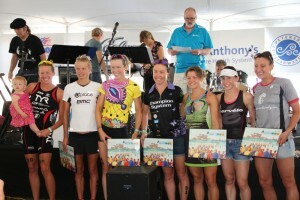 My original plan was to race my first 70.3 at St. George and earn Hy-Vee points. However, with my calf not being at 100% we have made the decision to wait and try my first 70.3 when I am ready. With the 70.3 just five days away, I would not have much recovery post St. Anthony’s. My season is going better than expected thus far and I want to continue to make smart decisions for my ultimate goals this season, which are to race the Lifetime/Toyota Series and Hy-Vee Triathlon. St. Anthony’s did not disappoint as being such a fun and classy race. I love seeing 3000 people compete and enjoy the mulit-sport lifestyle. A woman competed the entire race with one arm. This exemplifies the heart and courage of the human spirit.